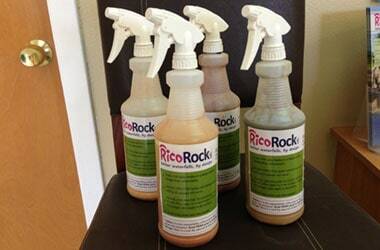 Other Modular Products - RicoRock®, Inc.
RicoRock® Acrylic Stains are semi-transparent acrylic stains that are specially formulated to bond to RicoRock precast products and other concrete surfaces. Thousands of artificial rock waterfalls have been colored using these products in the past 10 years. These are waterbased non-toxic stains that instantly give new concrete a weathered rock appearance. No special training or equipment is needed although for larger projects a pump up sprayer saves time (Chapin sprayers from Ace Hardware work best). 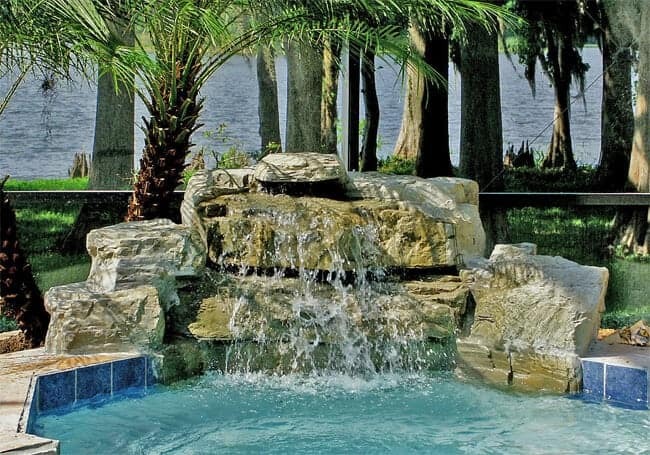 If you would like to view a short instructional video on staining artificial rock with RicoRock Acrylic Stains, CLICK HERE. Do not add water to the stain. 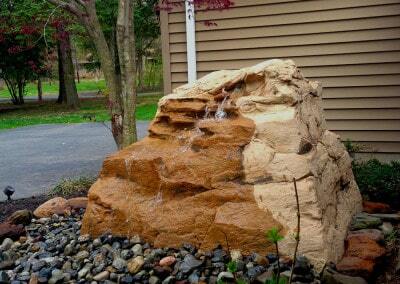 For a soft color pattern, wet the rock surface with water and then spray on the color. Use a sponge to clean off puddles and drips. Shake the stain bottle before and during use. If not properly mixed the color will be shiny and look like paint instead of an integral color. Our default color. An off-white base with some rust and antique accents. 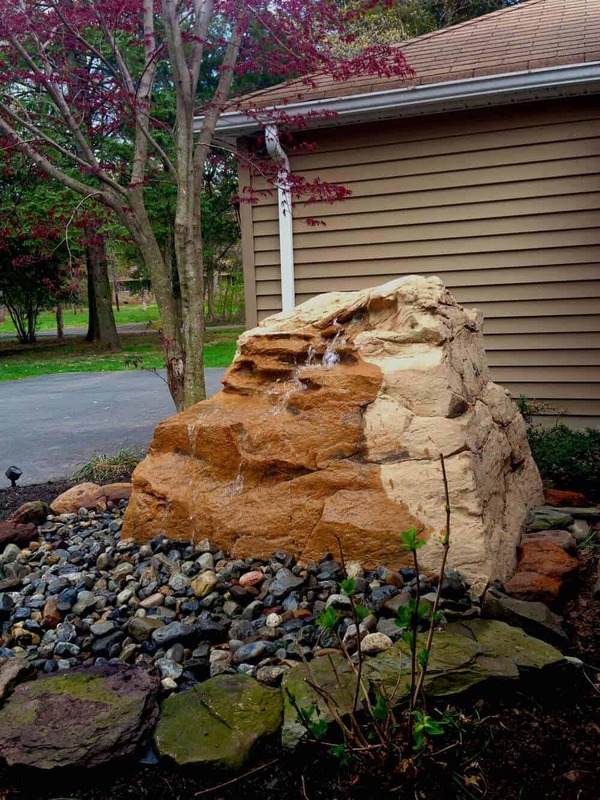 Western Sandstone has reddish, rust, and antique tones. 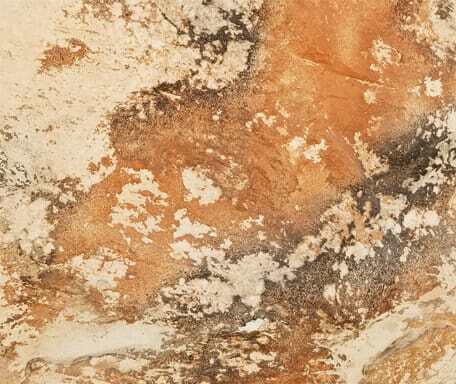 Oklahoma Sandstone has gold, rust, and antique tones. Off white with antique accents. Has strong patterns of antique and rust colors. The Texas moss rock variation has reddish brown. ANTIQUE Used mostly to age or darken. TAN Used as a base coat for earth tone colors or to soften dark areas. RUST and REDDISH BROWN are accent colors. Quart Bottles are $35/ea. 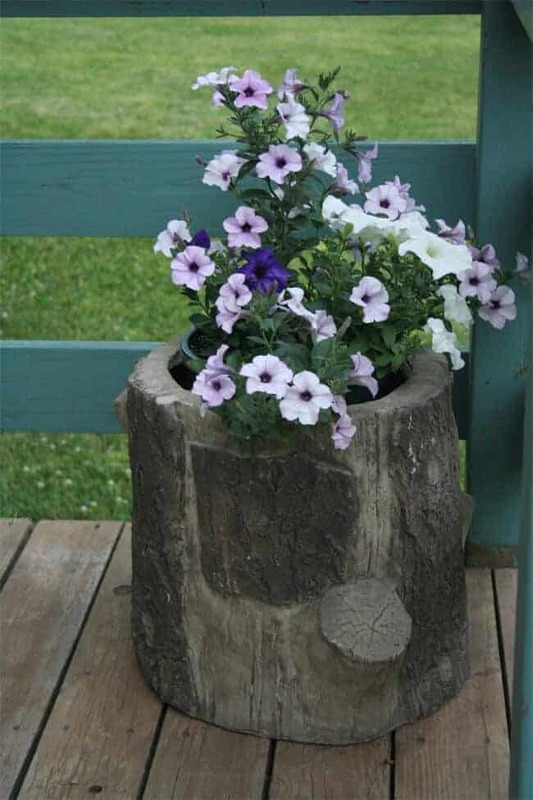 They come with a spray tip and one quart can cover up to 200 sq ft in a light application. 4 Quart Kit of all 4 colors is $125. Gallons with no sprayers are $90/gal. 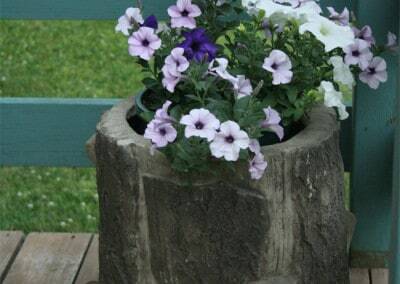 5 Gallon pails are $390/ea. A Touch Up Kit is $65 and includes four 8 ounce spray bottles and a small amount of patching cement. Stains are available at RicoRock company offices. Shipping and handling using UPS is extra. 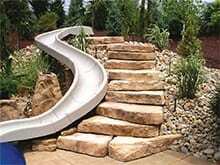 RicoRock® features two modular water slide access options. Steppers can be foamed filled by special order. They are easy to cut and adapt to any setting. Our second option is the Pre-Cast Staircase. 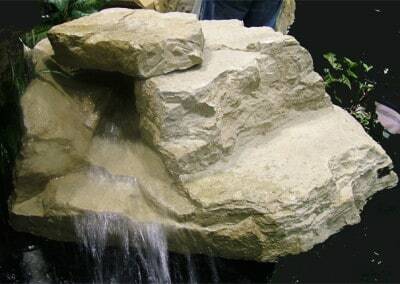 For a flat setting these large pre-cast rock pieces can be mortared to a concrete slab. An internal concrete column provides stability for the top piece and sleeves for hand rail posts are provided. Total height is 64 inches; designed for 15 ft fiberglass slides made by Inter-Fab or Dolphin. Click here for more info. 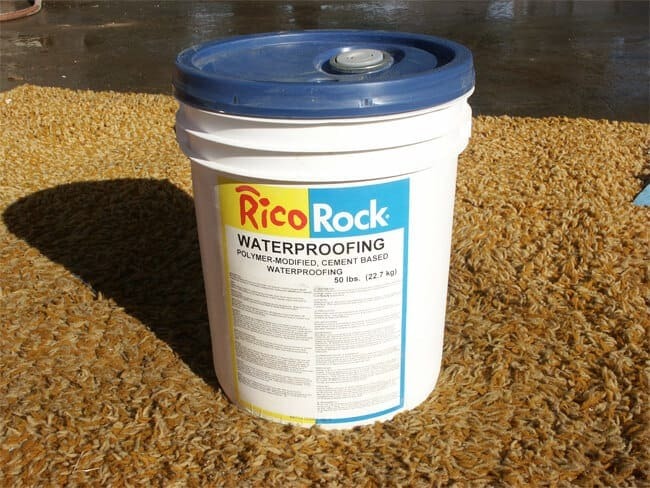 RicoRock® Waterproofing is a cementious coating used for waterfalls and waterline rock work, applied before the finish texture. Each 5 gallon pail has 50 pounds of powder that is mixed with water and applied with a wide brush. This waterproofing can be used on a variety of concrete surfaces and is designed to mix easily, set quickly, and has a modified polymer to improve bonding–no liquid acrylic agents are needed. RicoRock® Cement is now available, 80 lb bags of type S cement. It dries the same color as RicoRock® casting so if it’s used for finish textures the coloring should not require a base coat. It has polymer additives that make it bond better with less shrinkage and fewer calcium deposits.